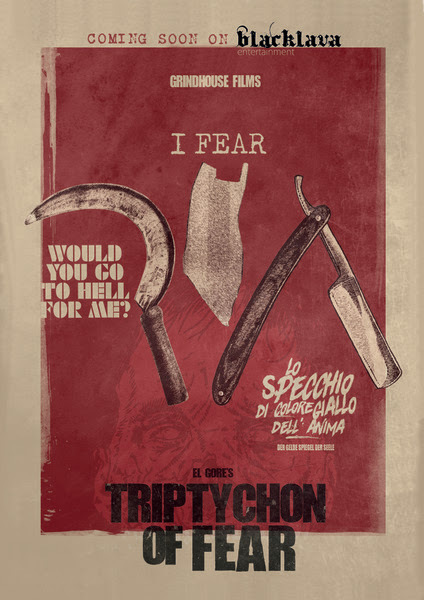 Blacklava Entertainment has debuted a new trailer for the upcoming region free DVD release of TRIPTYCHON OF FEAR, a trio of gloomy and horrifying stories from Grindhouse Entertainment, the twisted minds behind the Ghouls Night Out trilogy, Isolation, and Snuff Tape Anthology. The region free DVD of TRIPTYCHON OF FEAR will exclusively include a making of featurette, outtakes, behind the scenes footage, El Gore's never before released short film Salvation, the trailer and a picture gallery. The three episodes, running a combined 91 minutes, will be available for sale on 13th July at all German wholesalers and abroad.